Almoste every Champagne house makes what’s termed a prestige cuvée or, more evocatively, a tête de cuvée—the “head” of the cuvée. Some are widely known, some are primarily the province of connoisseurs, but all represent the very best the house has to offer. Typically they draw on fruit from grand cru vineyards, and they are usually, though not always, vintage dated. Expect gorgeous aromatics, lingering flavors, and incredible complexity. These bottlings are great in a flute or coupe, but you can also serve them in a classic white wine glass—it will only enhance their remarkable characteristics. Chouilly, the northernmost of the six grand cru villages of the Côte des Blancs, typically produces the richest Champagnes of that group. This rare bottling from Lenoble reveals that in its luscious texture and aromas of ginger and roasted nuts. Family-owned Billecart-Salmon is best known for its excellent nonvintage brut rosé bottling, but their top wines are even more compelling. The peach-citrus flavors of this cuvée, a blend of 60 percent Pinot Noir and 40 percent Chardonnay, ride along on acidity as taut as a plucked guitar string. Atypically for a prestige cuvée, Lanson’s Extra Age blends three top vintages together; for this release, the 2000, 2002, and 2004. The older wines add earthy and caramel notes to the nose and richness to the texture; the younger ones keep the flavors fresh and bright, in tune with the house’s typically graceful style. Ruinart, founded in 1729, is not as high-profile as some houses, but its Chardonnay-driven Champagnes are inarguably among the best. Case in point: the newly released ’07 Dom Ruinart. It’s graceful and lacy, with high-toned citrus flavors and this cuvée’s distinctive floral aroma. A standout among standouts, the 2006 Comtes de Champagne Blanc de Blancs has the kind of perfect balance that makes you sit back and say, “Wow.” Think creaminess, bright acidity, soft pear and citrus blossom notes, and a long and toasty finish. Heidsieck fans have been waiting a long time for this: the first vintage of this sublime cuvée since the still-gorgeous 1995. The 2004 vintage matched abundance in the vineyards with excellent quality, something that’s clear from this honeyed, expansive wine, which is all lemon pastry and dusty spice notes. 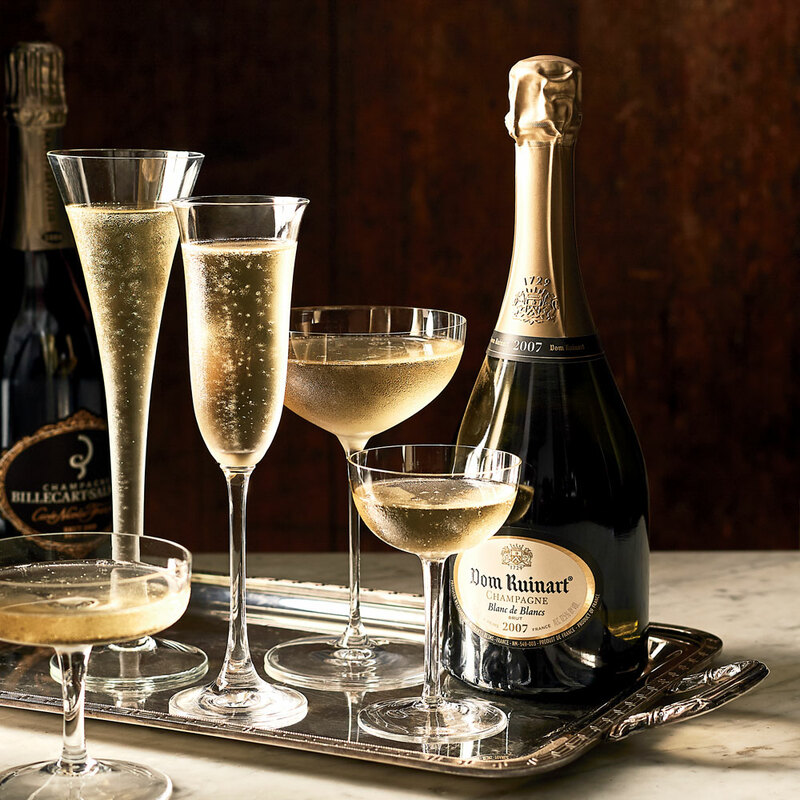 Bollinger is known for full-bodied, rich Champagnes, and the new vintage of R.D. (which stands for “recently disgorged”) is no exception. Fermented in neutral oak barrels—unusual in Champagne, though standard at Bollinger—and aged for 13 years in the bottle, this remarkable wine is dense with red apple, smoke, and honeysuckle notes, yet lifted by thrillingly bright, fine acidity.